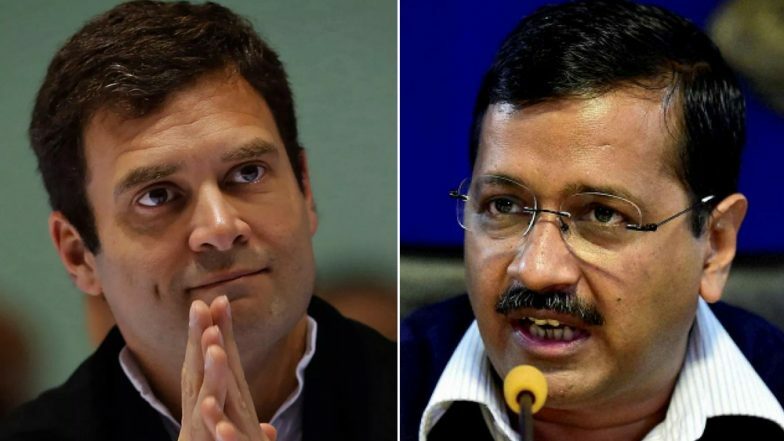 New Delhi, April 13: Giving another chance to a poll alliance, the Aam Aadmi Party (AAP) on Saturday said it was open for tie-up with the Congress in 18 Lok Sabha seats in Delhi, Haryana and Chandigarh. Speaking to the media, AAP leader Manish Sisodia said although the AAP was born due to corruption of the Congress, today's political scenario was different and the duo of Prime Minister Narendra Modi and BJP President Amit Shah was dangerous for the nation. AAP-Congress Alliance Talks Fail, Both Parties to Go Solo in Delhi. Sisodia said the AAP's ideas was that an alliance in Punjab (13), Haryana (10), Goa (2), Chandigarh (1) and Delhi (7) could stop the BJP in these 33 seats, he said. "If contested together, we can stop the BJP," the Minister said. Lok Sabha Elections 2019: AAP Joins Hands With JJP in Haryana After Talks Fail With Congress.